You’ve been asking, and we’ve delivered. In our continual push to make things easier on you and your business, we have recently undergone a ‘fixer upper’ / makeover of our KloudEmail services. As with any makeover, we had to tear down a few walls and shake things up a bit. 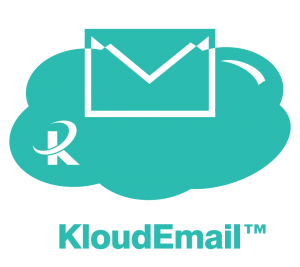 We have 3 core KloudEmail products now …..
KloudEmail Professional Mail Basic is now KloudEmail Basic and KloudEmail Basic w/Archiving. KloudEmail will continue to feature the same services you’ve been enjoying over the years. Since we are retiring the stand-alone, per user Mobile Sync currently known as the KloudEmail Branded Email Advanced & Branded Email Advanced Plus we are replacing them with something so much better – KloudEmail Suite and KloudEmail Suite w/Archiving. We are so excited to announce the new features that are now available at your fingertips. Already using Outlook and not wanting to switch email providers? No problem. We have the gold standard for you. In addition to these updates and upgrades, we have a Secure HIPAA compliant email in the works. We will keep you updated as these products become available. KloudEmail Hybrid allows you to mix KloudEmail Hosted Exchange with either one or the other of KloudEmail Basic or KloudEmail Suite. When your business is split with some departments requiring all the powerful features of Exchange including syncing of Outlook to their devices and your other department do not, this is where KloudEmail Hybrid steps in to save your money. In the past if your executives required Exchange then everyone on that domain name had to have it as well. But now with our KloudEmail Hybrid you can have the best of both worlds and save money in the process. Hybrid allows you to add Hosted Exchange to only those with a true need for the robust capabilities of Exchange while providing others in the company (same domain name) high quality email services at a fraction of the cost with either KloudEmail Basic or KloudEmail Suite. Contact us for a quote.